I am SO excited for this tutorial! A lot of recipes and tutorials I share there are already quite a few similar options out there in the world already, but THIS… I couldn’t find something like this anywhere so I’m thrilled to be sharing it and hope someone out there loves it as much as I do!!! So the Descendants party… Evie carries around a shard of her mothers (the Evil Queen from Snow White) magic mirror. It helps give her the answers to questions, like what’s the formula for the average atomic weight of silver when she get’s caught not paying attention in class. 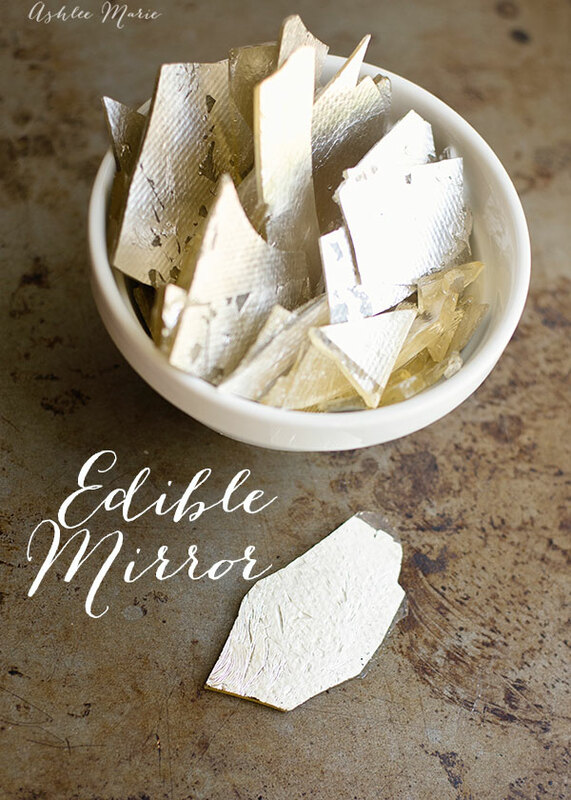 Man that would be handy… ANYWAY I KNEW I wanted to create an edible mirror for Evie and I am THRILLED with how it turned out! 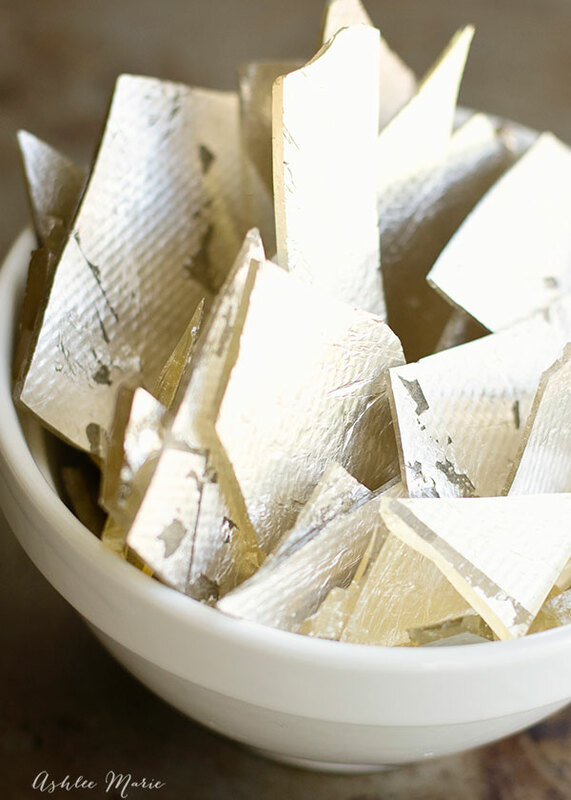 You only need three ingredients for this tutorial – Edible silver leaf, Isomalt and water. Easy Peasy. I also suggest a somewhat “tacky” mat, like a silpat mat or something similar, and a candy thermometer is a must. As soon as the candy reaches 320 F turn off the heat and quickly stir in a few drops of candy flavoring if you desire. 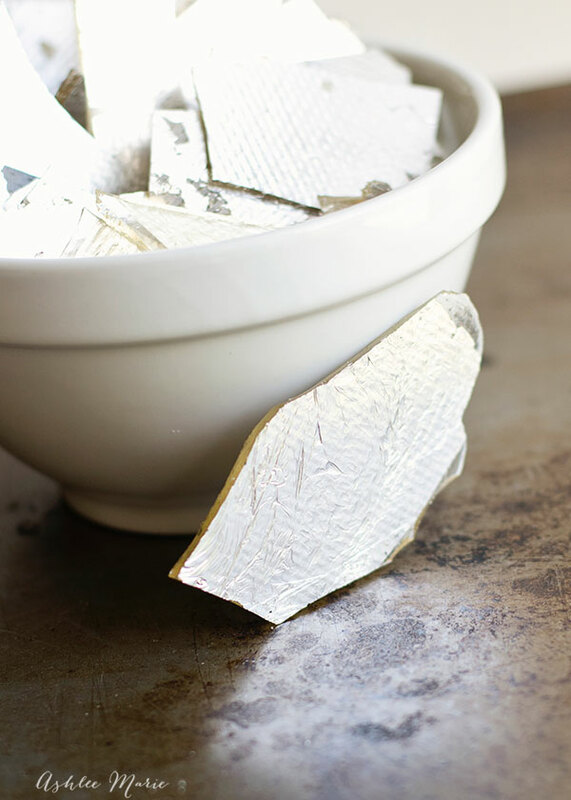 Carefully pour the hot isomalt candy over the silver leaf, the higher you pour from the more the candy will stretch out and pop the bubbles, but it will also cool faster. 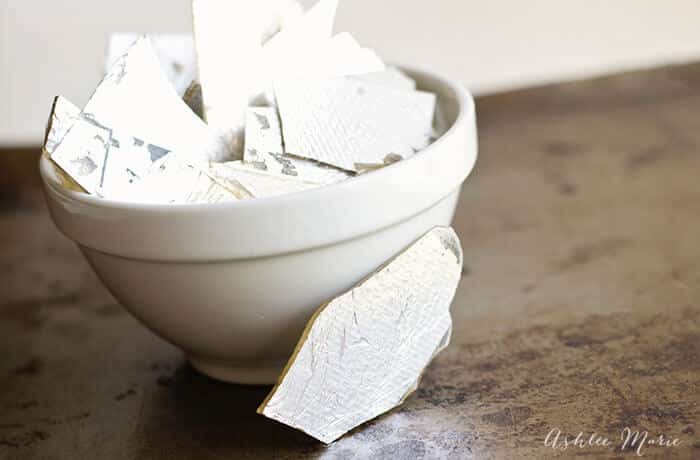 Immediately rotate the pan from side to side to help it spread across the silver leaf. If it cools too much and stops spreading before you have reached every side and corner place it in the preheated oven for 2 mins, then do it again, it will warm back up and spread even further. If you want a specific shape, rectangle, circle, etc... in your mirror as soon as you can touch it but it's still warm and soft you can slice and cut into the sugar, carefully, then let it cool completely, you'll be able to break out the shapes you cut fairly easily. So there you go! What do you think? I honestly can’t wait to use it in some cakes, I just have to decide which one to do first! I seriously have like 5 cake ideas and have to narrow it down… Don’t forget to check out the rest of the party recipes and posts!! !